One of the best price/sq ft homes in area. 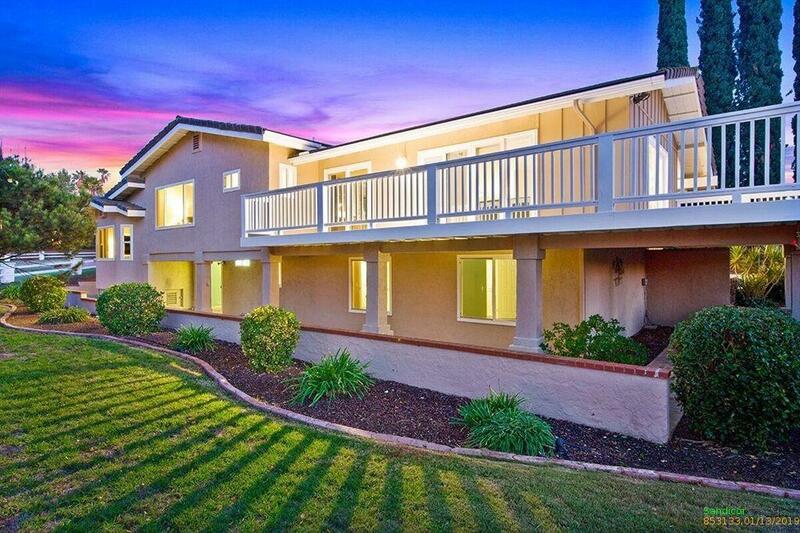 Welcome Home to this BEAUTIFUL one of a kind home in the highly desirable area of Poway. Step inside to the bright and open floorplan with multiple open family living areas. Many skylights bring in warmth and light throughout the house. Large open kitchen with granite counters and stainless steel appliances perfect for entertaining. Very large wrap around deck for relaxing with a cup of coffee or your favorite California wine while watching the sunset.